Your elite business needs an efficient team to work along. 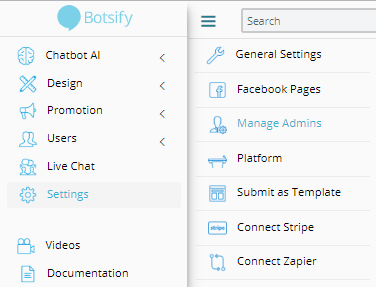 For your ease, Botsify has introduced a feature, “Manage Admins” where you can add multiple team members. Add Admin’s Name, and his/her email address. 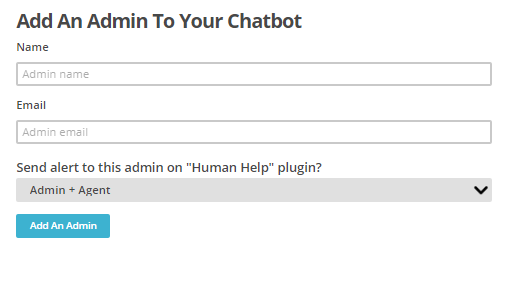 Admins: can manage all functions except “Settings” from Left Toolbar of the dashboard. 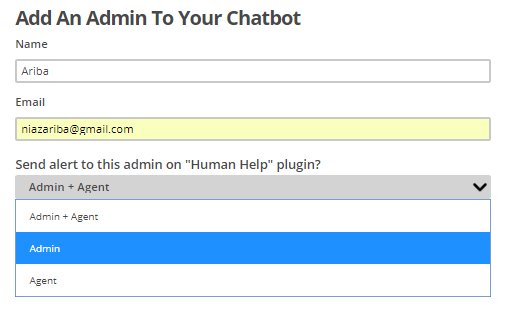 Admin+Agents: can access Live chat and all functions except settings. 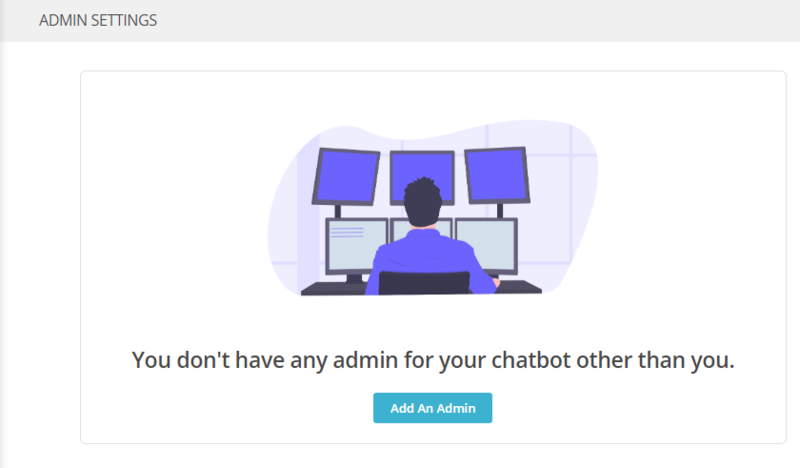 You can choose the admin accordingly and share your burden with them.